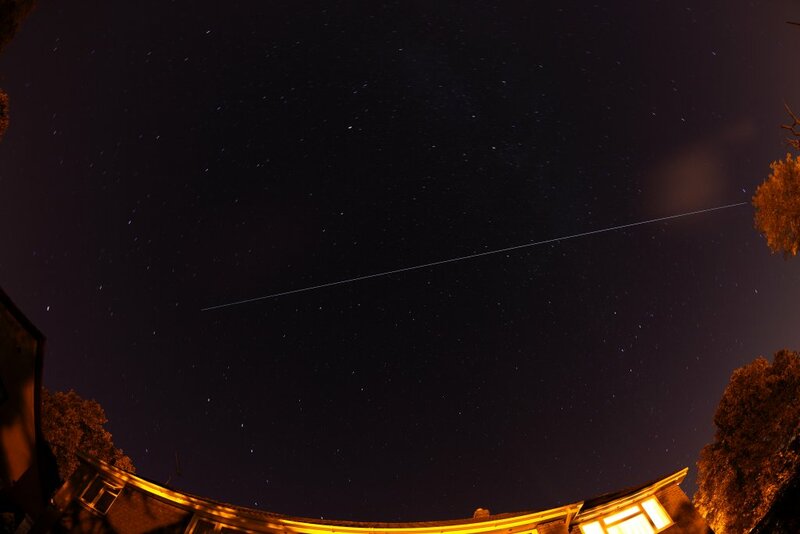 The beginning of this ISS pass is missing (the bit on the left) – why? Because I was pointing in the wrong part of the sky when the action kicked off and it was only when my son said “it’s behind you” in true Panto fashion that I got onto it and started imaging. Not sure why the path is broken up into little bits in this image – if you know why, do let me know.